First positron emission images were acquired in Turku with high collimated gamma camera while the production of PET tracer, FDG, was already started in 1980. Eight years later the first PET scanner, CTI-Siemens ECAT 931 was installed. This scanner was a whole body, 2D-mode machine which was replaced in 2005 with a modern PET/CT device. All together 10168 cardiac, oncological, paediatric, neurological, psychiatric, brain activation or metabolic studies were scanned with the ECAT 931. ECAT 931 was replaced by a GE DSTE PET/CT after 17 years of service. The next scanner in Turku PET Centre was GE Advance installed in 1996. This whole body scanner was operated in both 2D and 3D-modes. GE Advance has 35 image planes in 15.2 cm axial length. GE Advance was replaced by a GE D690 PET/CT after 14 years of service. Turku PET Centre moved into the PET building at university hospital campus in April 1999. Two existing PET scanners were moved in and work with them continued with a three weeks break. The core facility strengthened when later phase of PET building was finished in 2003. During that year the CPS HRRT high resolution research tool was installed. 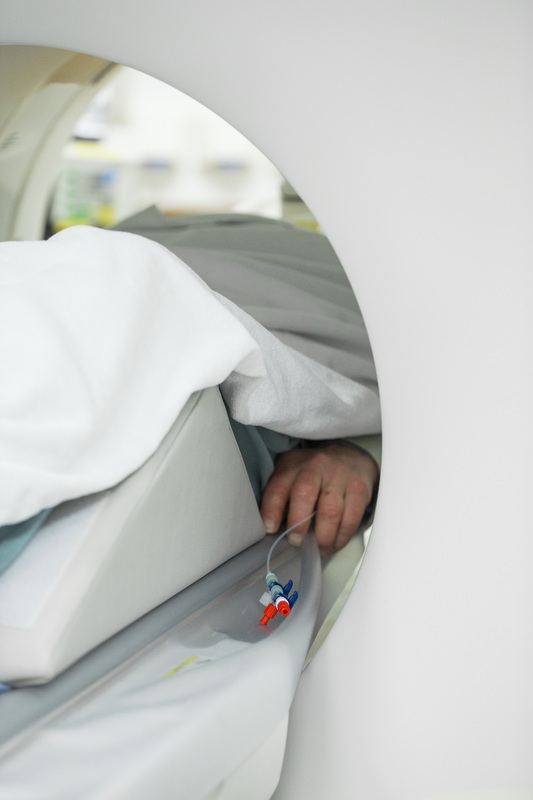 This scanner is dedicated to human brain imaging with the patient port diameter of 36 cm. HRRT acquires listmode data in 3D-mode. In 2004 Turku Imanet Oy bought a CTI-Siemens ECAT EXACT HR+ scanner which was installed in Turku PET Centre. This whole body scanner has 63 imaging planes in 15.5 axial length and can be operated in both 2D and 3D-modes. The 1.5 T Philips Intera MRI was installed in 2004. It is used for the anatomical references for PET studies as well as diagnostics patients. With the introduction of MR imaging and a position for a radiologist at PET Centre was required. The GE Discovery STE PET/CT scanner was installed in 2005. This 16 slice CT scanner was replaced with the 64 slice GE Discovery VCT PET/CT in 2007. The PET part has 47 imaging planes with 15.7 cm axial length. PET/CT has respiratory and cardiac gating capabilities for cardiac and thorax oncology patients imaging. Data is acquired in ListMode and thus offering 4D acquisition. The Siemens Inveon PET/CT scanner for preclinical studies was installed in 2007. 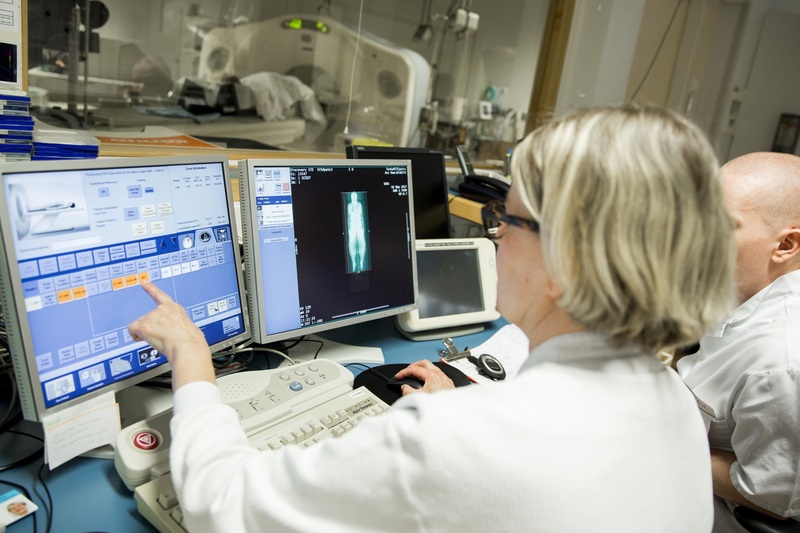 This scanner is dedicated to small animal scanning and it is located in Turku MediCity outside the main PET building. The GE D690 PET/CT scanner was installed in late 2010. In addition to the DVCT the new scanner has LYSO crystals and Time of Flight capability. CT images can be reconstructed with iterative reconstruction to reduce dose. The Philips Ingenuity PET-MR system is currently under installation. The system has 3T MRI and PET gantry with Time of Flight capability.